North Cross Head, East view. North Cross Head, East view. The cross is dated to the early ninth century. 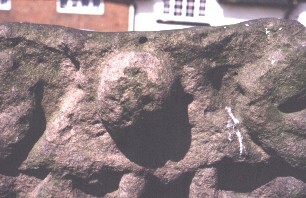 The Cross Head has the lower part of a figure in the centre.